1990 Application for patent at the German Patent Office (Munich). 1998 Relocation to new headquarters in Olching (near Munich) due to company expansion. 2000 Sale of the 1 Millionth fill cap by ROVER & ROVER GmbH. 2002 Foundation of the company ROVER & ROVER International Inc. in the Hull/Ottawa region, Canada. 2005 Introduction of the new redesigned AquaPro fill cap which has a 1/4 inch lower profile and features the quick-lock adapter and a self-closing hydrometer access. 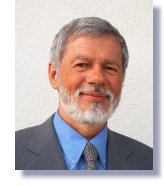 Daniel Rover, a French engineer and strong advocate of technical advancement, is president of the German company ROVER & ROVER GmbH. During the 80's, he was working with one of the first companies in the world to manufacture a single point watering system. Facing many obstacles to the implementation of his ideas, he soon realized he had to go his own way if he wanted to see his innovations ever take hold. His first move was to get a patent for his exceptional shut-off valve. But the birth of an outstanding concept and the reality of the final product are worlds apart. In order to get his product introduced to the industrial market, Daniel licensed the patent to another company until the end of 1996. In the interim, he worked on developing a variety of unique accessories designed to make the complete system even more user-friendly and effective. On January 1st, 1997, Daniel Rover was ready to manufacture and distribute his own fill system. Because of its patented shut-off valve, the AquaPro fill cap is more versatile, reliable and faster than any other watering system. Due to these advantages, and the introduction of other innovative products like the All-In-One Coupler, ROVER & ROVER GmbH grew swiftly to become a leader in the field of battery fill systems in Europe. Since 2002, ROVER & ROVER Int’l Inc. has been distributing his system in North America. In 2005, ROVER & ROVER introduced the new AquaPro fill cap, redesigned for the needs of North American batteries. We invite you to experience the advantages of his brilliant invention. You can trust our 20 years experience and our dedication to our product. Battery Watering Systems are all we do!